The keys are given only for preliminary analysis and its not final..However the final key will be released by the convener on June 5th. The keys of code A and C for the eamcet 2010 exam will be updated soon. We have updated the keys for codes B and D of the popular EAMCET 2010 entrance examination.Just follow the blog and comment your score below the posts after checking the keys. we wish luck for all the students who appeared for the examination. Here the keys for Eamcet exam 2010 as given by Sri Chaitanya Educational institutions. The keys for A and C will be posted soon. Paper was quite easy.. having a few errors when compared to the previous years.This is a good news for the top notch students.Here is a comprehensive discussion about the paper. 1. )I do agree with the comments on the previous post that maths is a bit tough and lengthy when compared to the previous years.But here is a point to note.65-72 questions could be cracked with ease.A student who is quick in formulae substitution and calculation skills could easily solve the above mentioned number.The rest of the questions test the logical ability of the students.A student who could solve at least 5 among them will be in the race for the top position. 2. )Physics was easy and an average student could attempt 20-25 of them which is a good score that can fetch him a rank of 1500-2000 iff he could score 65 in maths and 30 in chemistry.The toppers can easily answer all the 40 questions which is not a big deal for them. 3. )Chemistry paper was mediocre with a few questions testing the reading skills of the student.Last years paper had a lot questions from Physical chemistry and also included many problems.But the scenario is different this year.All the questions were directly given from the topics in the textbook.Hence there is no scope for a question coming from other books which are of AIEEE standard. Hey Guys here we are giving latest information related with AIEEE Entrance Exam 2010 Results. AIEEE Entrance Exam 2010 Results will be announced soon. AIEEE Entrance Exam 2010 Results can easily be downloaded from following links. It is very easy to see AIEEE Entrance Exam 2010 Results. Yes guys AIEEE Entrance Exam 2010 Results announced soon. You can see your AIEEE Entrance Exam 2010 Results here. Just feed your roll no. here and get your AIEEE Entrance Exam 2010 Results. Best Of Luck Friends !!! Hey Guys here we are giving latest information related with EAMCET 2010 Key. EAMCET 2010 Key will be announced soon. EAMCET 2010 Key can easily be downloaded from following links. It is very easy to see EAMCET 2010 Key. Yes guys EAMCET 2010 Key announced soon. You can see your EAMCET 2010 Key here. Just feed your roll no. here and get your EAMCET 2010 Key. Best Of Luck Friends !!! Check your AIEEE result here. On 26th April over 10 Lacs students appeared for AIEEE 2010 Paper, which was held all across the country. There was a major change in the pattern of the paper, which surprised many students and according to them this year Math Question paper was the toughest. This year No.of questions also decreased from 35 to 30 per section as compared to 2008. * This cut-off rank is for the I Phase of counseling for Outside Delhi Region. However, if vacancies still persist, applicants with rank beyond 5000 will be considered in the II phase of counselling. There were 24 questions of 4 marks each and 6 questions of 8 mark each. The 8 mark questions had -2 marks for incorrect answer while the 4 mark questions had -1. Online counselling for admission to engineering colleges will start from June 8, the statement said. Log on to http://entrance.icbse.com/aieee-counselling/ to know more about AIEEE Counselling. Score Card indicating All India Rank and State Rank with total marks and marks in each subject shall be sent to all candidates appearing in AIEEE. Candidates scoring above a certain cut off percentage of marks (being different for General, OBC, SC/ST/PH category candidates) to be called for counselling shall be determined at the time of declaration of AIEEE results.All India/State Rank and marks shall also be released on AIEEE website. The results of AIEEE-2010 is likely to be declared on 30th May, 2010.The All India/State Rank to be called for Central counselling will be decided by Central Counselling Board which will be constituted by the Ministry of Human Resource Development, Govt. of India and decision of seat matrix etc. will be taken by Central Counselling Board. The required information will be displayed at apropriate time on website www.ccb.nic.in . The score cards will be dispatched to the candidates from 12.06.2010 to 27.06.2010 under Certificate of Posting (UPC). The Board will not be responsible for any consequences that may arise due to loss of score card in transit.In case of non-receipt of the score card within the stipulated period candidate may apply for duplicate score card on payment of Rs. 50/- (plus postal charges of Rs. 30/- for outstation candidates) in the form of Demand Draft in favour of Secretary, CBSE, payable at Delhi/New Delhi between 09.07.2010 to 31.08.2010. No request for issue of duplicate score card will be entertained thereafter. As per the notified cut off score and the candidates declared eligible up to the notified Rank shall be called to appear for counselling. In case of two or more candidates obtaining equal marks, inter-se merit of such candidates shall be determined as follows: B.E/B.Tech – By marks obtained in Mathematics and then in Physics in the AIEEE and then by age (preference to older candidates). B.Arch/B.Planning – By marks obtained in Aptitude Test and then in Mathematics in the AIEEE and then by age (preference to older candidates). Rules For Rechecking/Re-Evaluation of Answer Sheets Since the AIEEE answer sheets are machine graded with extreme care and repeatedly scrutinized, there is no provision for rechecking/re-evaluation of answer sheets. No correspondence in this regard will be entertained. The much awaited Eamcet exam for the students of Andhra Pradesh will be taken by more than 3.8 lakh students.Around 3.3 Lakh students are appearing from the Engg Stream and around 54000 students are competing for medical courses.The Engineering paper will be conducted from 10 Pm to 1 PM.The medical paper will be conducted from 2 PM to 5 PM.The solutions of the paper and our estimated key will be released by 4 Pm Today(Engg).The medical paper key will be available from 8 PM. Our team wishes All the Best to all the students appearing for the exam. CBSE Class 10th Results 2010 Have Been Declared For All Regions. Here We Are Given Updated Link For CBSE 10th result 2010. Check This Link & Get Your Result Quickly. You Can Also Check www.cbseresults.nic.in Website When Result Will Be Announced. For Further Information About cbse grading system 2010 Or cbse grading system for class x You Can Log On To Official Website At http://www.cbse.nic.in/ Of Central Board Of Secondary Education, Delhi. (IIST)Indian Institute Of Space Science & Technology Has Announced The ISAT-2010 rank list. Candidate Can Check ISAT Reank List 2010 At www.iist.ac.in Official Website. This Official Site May Not Respond Due To Heavy Traffic, Keep Trying After Some Time. The admissions to the Undergraduate Programmes (B.Tech) at IIST for the year 2010 are made through the ISAT-2010. For detail information about ISAT - 2010, You Should Log On To www.iist.ac.in (Direct Link) Or detailed information is included in the ISAT - 2010 Brochure. With the Central Board of School Education (CBSE) replacing marks with grades in Class X results from this year, Students will now get to know the grades in each subject, plus the grade point and the cumulative grade point average (CGPA). Well CGPA means cumulative grade point average (CGPA). CGPA Grading system of CBSE in short. The grades will be awarded on a nine-point scale for each subject. Scores between 91 and 100 per cent in a subject, awarded Grade A1 a grade point of 10. Scored between 81 and 90 per cent marks in a subject awarded Grade A and a grade point of 9. And the cgpa to percentage, will be An average of all the grade points will then be taken and calculated under CGPA. CGPA to Percentage formula (obtained grade/max grade)*100. This will also be the last year of the Class X Board exam. With the CBSE extending the Continuous and Comprehensive Evaluation (CCE) to Class X, the 2010-2011 batch will have no Board exams. HOW CBSE’S CGPA GRADING SYSTEM WILL WORK? a new system of evaluation – Continuous and Comprehensive Evaluation (CCE) – based on grades has been approved. Grading system will minimize misclassification of students on the basis of marks. Grading will eliminate unhealthy competition among high achievers. CBSE Grading will reduce societal pressure and will provide the learner with more flexibility. (CCS) Chaudhary Charan Singh University, Meerut Has Announced M.A. Urdu (Final) Regular Candidates Examination 2010 Today (May 28 2010) At 11:00 AM. CCS University B.ed Exam Result 2009 Is Also Available At Following Websites. Get More Information About Admit Card : Campus Entrance Test - 2010, Related- Campus Entrance Test-2010, List of Examination Centers & Institutes Exam .to be Held From 18 May, 2010, Examination Program for Professional Courses, Examination Program for B.A. & B.Ed, Application form for Ph.D. Registration And Important for Colleges related to Exam 2010 Log On To http://www.ccsuniversity.ac.in/ Official Website. (CSVTU) Chhattisgarh Swami Vivekanand Technical University Has Announced Results For B.E. Fifth Semester (Backlog) Results 2010. This CSVTU B.E. Result 2010 published Today (May 28 2010) At 11:00 AM. Candidate Should Get Their B.E. Fifth Semester (Backlog) Results 2010 At www.csvtu.ac.in Official Website. Use Following Direct Link To Get CSVTU University Result For B.E. Fifth Semester (Backlog) Quickly. Now You Also Get Result Through SMS On Your Mobile. Just Follow This Procedure. For Further Detail About (CSVTU) Chhattisgarh Swami Vivekanand Technical University, You Can Visit At www.csvtu.ac.in Official Website. Where to check MP board 10th results online ? How to check MP 10th result 2010 on SMS or mobile ? How to get 10th results of MP board by email ? Check out the www.indiaresults.com website for details on how to send SMS and get MP board 10th results on mobile. CLAT or Common Law Admission test was later established. under a common Entrance Exam Test The Today is Declared. The test of CLAT you gave on 8th of May 2010. This is to declare exams result by the NLIU Bhopal which conducted the CLAT all over the India. The CLAT Entrace Exam for answer keys and CLAT solved paper are provided on the website of CLAT to help the aspirants. CLAT Results 2010 will be available on the CLAT website. The Board of Secondary Education Assam (SEBA) High School Leaving Certificate (HSLC) Examination 2010 to be announced on 29th May, 2010 at 11:00 Hrs. Gujarat University Exam Results 2010, Indian Exam Results.Gujarat University is announce the Gujarat University Results 2010,Gujarat University Examination Results for Gujarat University LLB 3rd Year, B.Sc. 2nd Year and B.Sc. 1st Year Examination Results 2010 announced on 29th May, 2010 on the official website. Visit bellow link and get Gujarat University Examination Results 2010. Central Board of Secondary Examination(CBSE) has released the results of Xth class an hour ago.You can check the results here. today The Amar Ujala announced UP Board 12th results, Allahabad Results. Amar Ujala online: Hindi news updates on business, politics, sports, fashion, hindi films, national and international news reports. 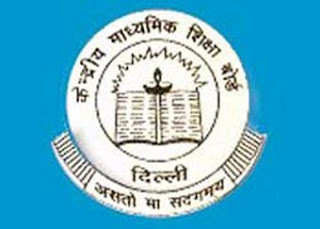 (CBSE) Central Board Of Secondary Education Will be Announced Class 10th Exam Results 2010 on 28th May 2010 at 10:00 AM. This CBSE SSC Result 2010 Will Be Publish At www.cbseresults.nic.in Official Website. CBSE Class 10th Result 2010 Will Be Declare For All Region. Here We Are Giving Updated Link For CBSE 10th result 2010 When Result Will Be Announced. For Further Information You Can Log On To Official Website At http://www.cbse.nic.in/ Of Central Board Of Secondary Education, Delhi. IIT JEE 2010 Results were declared yesterday.The central Board Of Secondary Education made a formal announcement that the results of AIEEE 2010 that was held on 25th April, 2010 will be declared on 30th of this month.Around 13 lakh students appeared for the exam to get into the coveted NIT's and IIIT's across the country. Wish the students Best of Luck!!!! Board of School Education (HPBOSE) Has Published The Middle (Class 8) Examination Results 2010 Today (6th May, 2010) at 11:00 AM. Student Can Check HPBOSE 11th Class Results 2010 At www.hpeducationboard.nic.in Official Website. This HP Board Middle (Class 8) Results 2010 Also Available At www.results.himachaleducation.net Website. Here We Are Providing Some Useful Direct Links For You. To Know More About Himachal Pradesh Board of School Education (HPBOSE) You Can Visit At www.hpeducationboard.nic.in Official Website. Madhya Pradesh Board of Secondary Education (MPBSE) To Be Announced The HSSC (Class 12th) Examination Results 2010 Today (26-May-2010) At 4:00 Pm. Student Should Download Their Result At www.mpbse.nic.in Official Website. This MPBSE Result 2010 Also Available At Following Website. Check This Site When Result Will Be Announced as well as you will need your roll no. to get the result.